Traders can find suitable and reliable courses about Hidden Divergence as well as Divergence/Convergence. It is strongly recommended that traders gain required knowledge before applying this strategy on Trades especially Options market. The Video, Text and PDF formats of courses are available in more than 30 languages. Due to high performance as well as sharp market trend after this strategy generates the signals, hence we can apply this strategy on Options trades. On the long price trend, after Hidden Divergence condition specifies a continuation trend, if a Divergence/Convergence is detected on the small price return, which confirms the direction from Hidden Divergence, then this strategy generates signal. 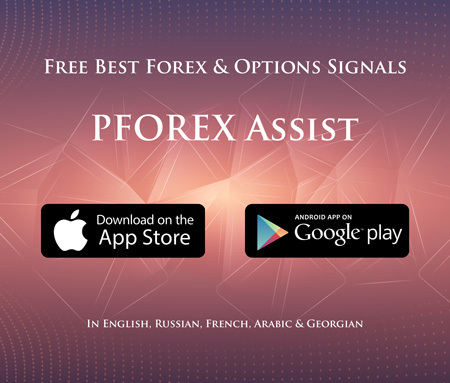 PFOREX applies Awesome Oscillator, RSI indicator, Stochastic oscillator and powerful reversal candlestick pattern. Bullish format: The Hidden Bullish Divergence confirms the area where price would increase. On the long bullish trend, a reversal trend toward bottom forms the Convergence on the last valleys to show the reversal spot for upward trend. On the reversal spot, a powerful bullish candlestick confirms the bullish signal. When RSI line passes the level 30 or Stochastic line crosses the level 20 toward top then the reversal signal for upward trend is confirmed. Bearish format: The Hidden Bearish Divergence confirms the area where price would decrease. On the long bearish trend, a reversal trend toward top forms the Divergence on the last peaks to show the reversal spot for downward trend. On the reversal spot, a powerful bearish candlestick confirms the bearish signal. When RSI line passes the level 70 or Stochastic line crosses the level 80 toward bottom then the reversal signal for downward trend is confirmed. On USDCAD symbol, after price decreased toward bottom, a Hidden Bullish Divergence was detected to specify the area where upward trend was supported. After more decline toward bottom, 2 Convergence conditions on the last 3 valleys confirm the bullish trend. The Bearish Hammer candlestick pattern on the last valley confirmed the upward trend. In the next example, after Hidden Bearish Divergence was detected on the long bearish trend 2 successive Divergence conditions on the last 3 peaks confirmed the downward trend. The RSI line crossed the Level 70 toward bottom to confirm the reversal spot on the last peak. Also a Bearish Wedge classic pattern has formed to confirm the bearish trend direction.